There’s no place like home…….cooked meals! Of course there is nothing better than a home cooked meal, or is there! Well today there for sure is! I got lucky this week at my neighborhood Publix, when walking down the poultry/meat area. 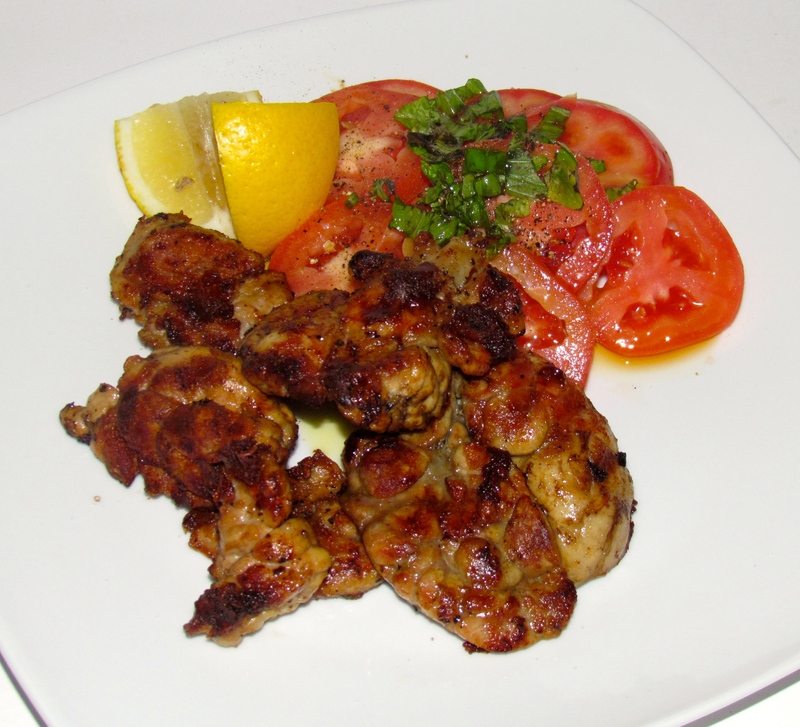 I spotted some Sweetbreads (mojellas para los Yoruguas) which means its Uruguayan style BBQ for me! 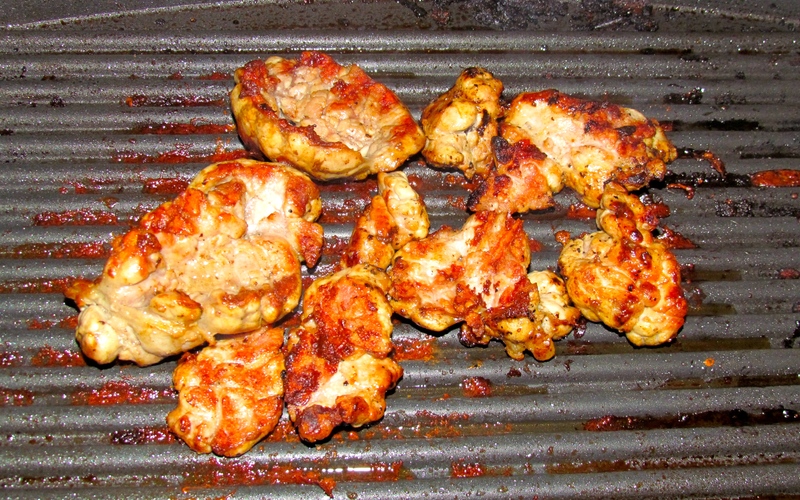 So out came the BBQ, cleaned my sweetbreads up, seasoned with salt and pepper and a bit of lemon juice and off to the barbie they went! Not sure how to describe them, but all I can say is that they make me very happy! Even happier is the fact that I am the only one that eats it at home, so more for me :-). As we would say at home “Buen Provecho”! Next Rum Cakes Dressing up for Halloween…….